I was at Indigo browsing through the local interests section when I came upon this book. 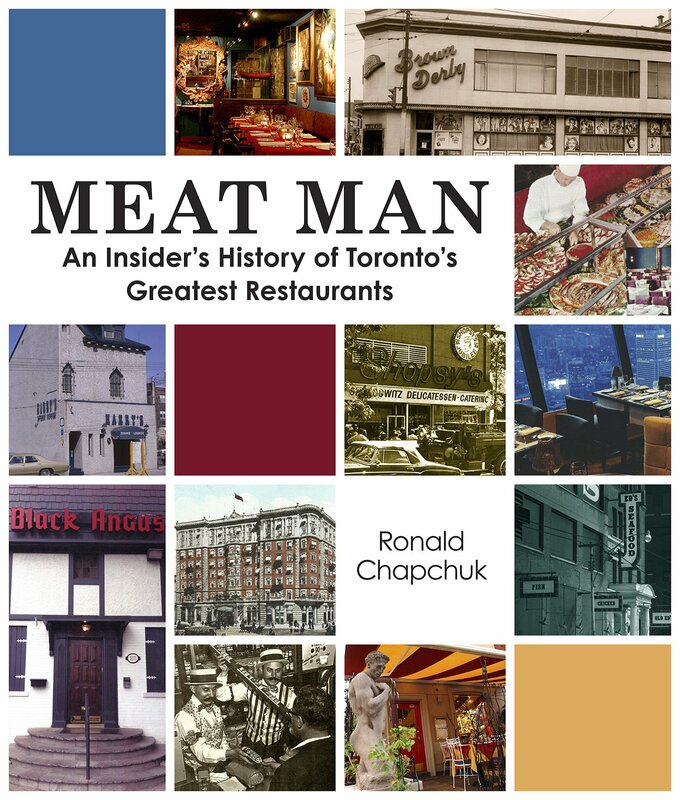 It’s a book from Ronald Chapchuk who worked in the meat industry supplying meat to many of Toronto’s restaurants. It’s a nostalgic look into Toronto’s past of what many of us forget was a vibrant food culture. What we have today is an evolution of what was there before, but the culture of food was founded by these restaurants. Torontonians today forget that we held our own at one time when it came to delis. We always think of Montreal and New York as great deli destinations, but Toronto, at one point, had some great delicatessens where various home made meats were hand carved and they did their own pickling. Mr. Chapchuk begins with a brief look into the history of the Chinese restaurant scene in Toronto. The book is filled with photos of some of Toronto’s iconic restaurants and discusses what happened to their owners. It’s a good read if you’re interested in this kind of topic. Toronto is indeed a fun city. Thanks for your post.